Cubic boron nitrite grinding wheels are used for projects that require intricate attention to detail. They provide a high-quality tool that will help you produce a beautiful, well manufactured product. 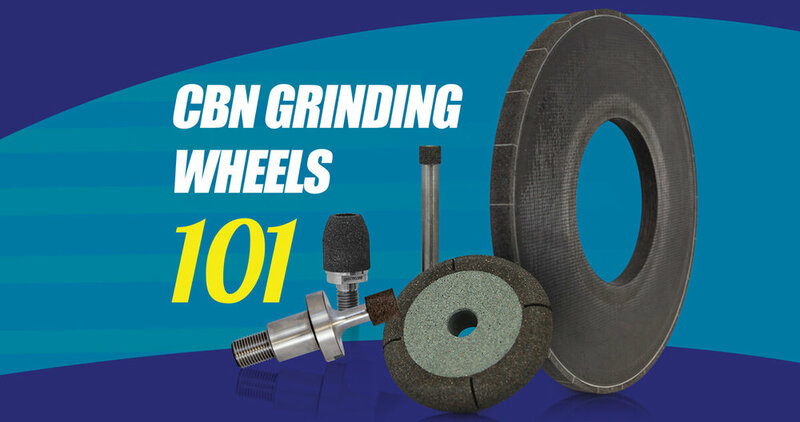 What is a CBN Grinding Wheel? A CBN wheel is made from cubic boron nitride. This material is one of the hardest materials available, second only to diamonds. The main feature of the material is that it features a high abrasion resistance and thermal conductivity that maintains its sharp cutting edges. It’s a great choice when doing advanced products that require a high attention to details. Why Use This Type of Wheel? CBN wheels are important for grinding HSS. This is because it's a better material for sharpening and for durability, one of the best available. Diamond is harder than CBN, but over time many people have discovered that diamond is not a suitable abrasive grain and isn’t a good choice when grinding on high speed dry wheels. Choosing to buy grinding wheels with cubic boron nitrate will offer you the durability you need, while giving you the finished product you desire. These types of wheels have an almost indefinite life span when they are properly cared for. Many have chosen to use these wheels instead of the normal granular wheel because of their durability. The strong nature of the wheels comes from the bonding that takes place between the grains and the supporting steel hub. Thanks to this bonding feature, the wheels can be used dry without any coolant. Only a small amount of pressure is needed to sharpen a tool. The grind is very fine and there are almost no sparks when used for sharpening, unlike similar grinding wheels. The wheel remains cooler than a conventional wheel as well, making it nearly impossible to burn the tools. Choose certified wheel suppliers when looking for a grinding wheel. Those who have used grinding wheels have seen the benefits of the strong material. The main advantages are that it doesn't heat up when used for sharpening, it provides a perfectly balanced wheel, and has a low risk of blowing up. When it comes to your projects, time, and money, these are benefits that soon become valuable. Choose certified CBN grinding wheel suppliers when looking for a grinding wheel. You’ll save time and money when you choose a supplier that is well versed in the benefits.